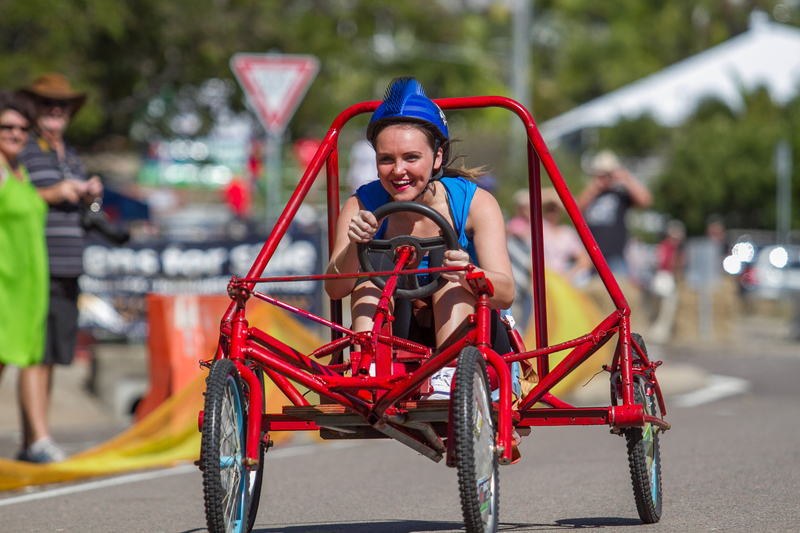 The 2016 Townsville Billy Cart Dash for Variety will be held on Sunday, June 26, 2016 with the event open to everybody – kids, adults who are still kids at heart, families, schools, corporate, defence and sporting club teams. The fifth annual event will again be held at Jezzine Barracks, Kissing Point in North Ward. Billy cart teams will compete in downhill races off start ramps, as well as participate in a fun obstacle course. Teams pay a small registration fee to participate, with all fundraising donated to Variety – the Children’s Charity of Queensland, a national non-profit organisation supporting kids who are sick, disadvantaged or who have special needs. The day will also feature a range of fun family-oriented entertainment including a Celebrity Race, the Defence Cup challenge, a downhill demonstration of longboards and luges by Cre8ive Sk8, face painting, balloon artists, craft activities, food and drink stalls, and a live outside broadcast by 4TO with popular radio announcer Glenn “Minty’’ Mintern. This year, we again have teams entering from around North Queensland … and we are inviting everyone to participate. Team registrations are due by Saturday, June 11, 2016 … so get your entry form in now! All information about this year’s event can be found on our website www.billycartdash.com, from entry forms and fees, race categories, cart specs, course maps to photos and footage from previous events.